i got to take pictures of my nieces a couple of weeks ago. 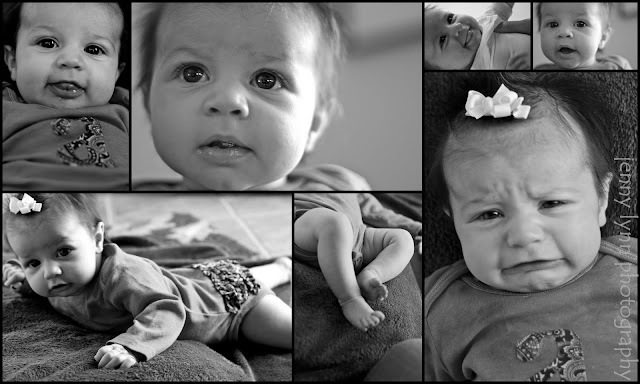 here are some of my favorites of the youngest, a.g.
OH MY WORD!!!! What a doll!! I love the little one of her smiling with her tongue sticking out!!! Great collage!!! They're all totally adorable but the one with her crying is too cute. I'm sure it wasn't cute to her mother at the time but it's so telling of a baby! PRECIOUS! you are too talented :) so impressed! Actually, is it wrong for me to think it was cute when she was crying? :) Jenny these are AWESOME...can't believe how great they turned out.